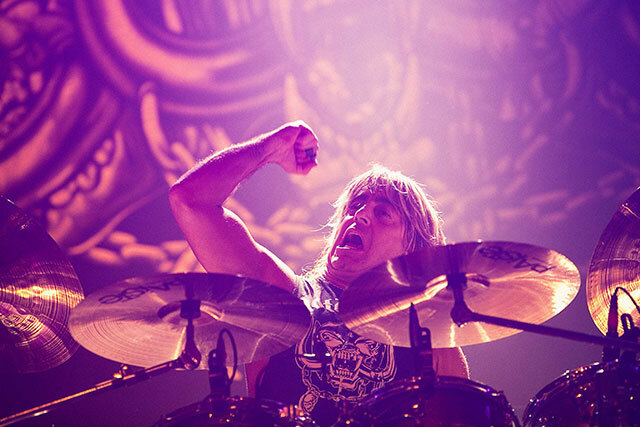 Former Motorhead Drummer Mikkey Dee will play drums for Scorpions when the veteran band performs in the U.S. next month. The group’s regular drummer, James Kottak, has had some issues over the past couple of years. Including an arrest in Dubai that led to rehab, that have sidelined him from playing. 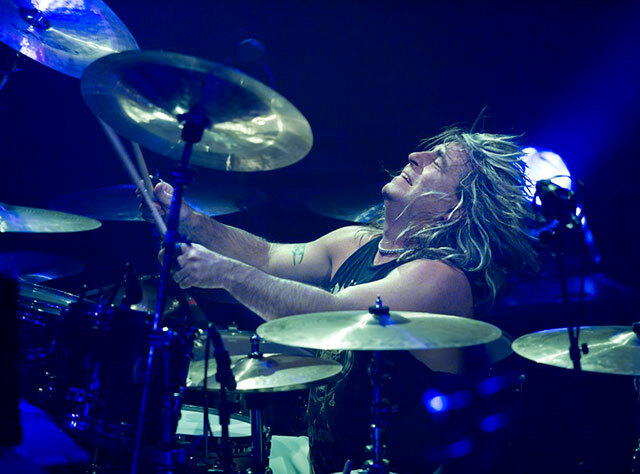 Mikkey Dee, who apart from being the Motorhead Drummer in over 2(!) decades, perhaps most known for his work with King Diamond. With King Diamond, Mikkey Dee recorded the classic albums “Fatal Portrait” (1986), “Abigail” (1987) and “Them” (1988). After the supporting tour for “Them“, Mikkey Dee decided to leave the band. But was later rehired to play session drums for the recording of the band’s follow-up album “Conspiracy” (1989). In January 2016 Mikkey Dee joined Thin Lizzy to play on their upcoming anniversary shows. On april 19th, it was announced that Dee would not be participating. Today, Scorpions announced the news on their website, saying that Mikkey Dee will play 12 dates with them as “Kottak is currently on break while he seeks medical attention.” Mikkey Dee‘s shows with the group start on May 6 in Charlotte, N.C., and wrap up three weeks later on May 29 in San Antonio. “We would like to continue our Return to Forever tour with James, but we have to realize that his health is priority,” vocalist Klaus Meine said. “We wish James a speedy recovery and he will be back to rock with us very soon! Scorpions recently released a tour edition of last year’s Return to Forever album. Since then they’ve been on the road promoting the record, as well as their 50th anniversary. After the dozen U.S. dates next month, the band will head back overseas for shows in Switzerland, Spain and Finland. There’s no word on whether the Former Motorhead Drummer will remain with them for these shows or if Kottak may be back by then. 22″ x 18″ Bass Drum (x2), 14″ x 7.25″ Mikkey Dee Signature Snare Drum, 10″ x 10″ Tom, 13″ x 11″ Tom, 14″ x 12″ Tom, 16″ x 16″ Floor Tom and a 18″ x 16″ Floor Tom. 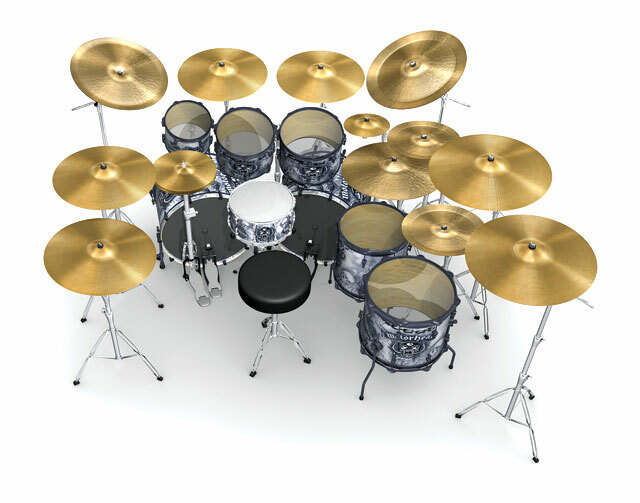 20″ Power Crash, 19″ Power Crash, 18″ Heavy China, 14″ Sound Edge Hi-Hat, 18″ Power Crash, 10″ Splash, 22″ Precision Heavy Ride, 14″ Thin China, 20″ Heavy China, 20″ Power Crash, 16″ Thin China and a 19″ Power Crash.